On November 29, 1898, the revolutionary government of General Emilio Aguinaldo, who had approved the Malolos Constitution, recognized the equality of all forms of worship and proclaimed the separation of Church and State. Deriving inspiration from the Constitutions of Mexico, Belgium, Guatemala, Costa Rica, Brazil and France, the most heated argument about it occurred with regards to the provision making Catholicism the religion of the State. After much debates on the subject, the Congress voted on it with a tie result, hence a second voting resulted in the victory of the separation of Church and State by only one vote. First, that the Filipinos, though up in arms against the Catholic Spain, were not anti-Catholic but merely anti-clerical. 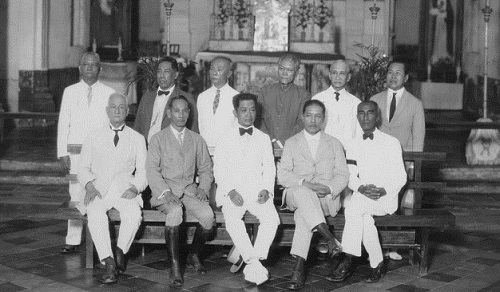 Second, that many of the delegates learned from the bitter lesson of Philippine history in voting against the union of Church and State which, under Spain, was the fundamental basis of Spanish colonial system. Hence, the decision became the cornerstone of Philippine democracy as shown not only by the nationalism and democratic orientation of those who voted for the separation of Church and State, but also the keen sense of history.